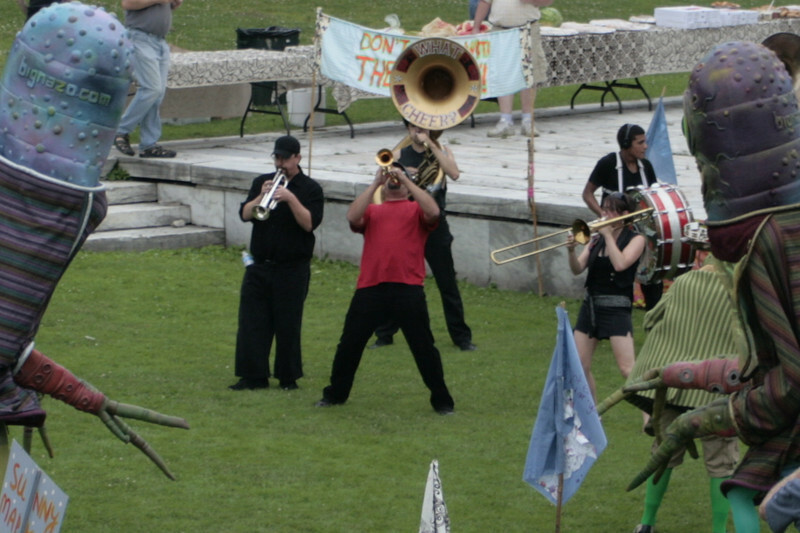 On June 12, 2010, a crowd of students, artists, and neighborhood people processed from Mashapaug Pond through Providence streets to the lakes in Roger Williams Park. The aim was to raise awareness of these interconnected urban waters that contain heavy metals from the former Gorham Silver Manufacturing Company and other industries. Holly Ewald led in organizing the event with the Environmental Justice League, Sophia Academy, Highlander Charter School, South Side Community Land Trust, and others. (More at: http://www.ecori.org/a-procession-with-a-purpose/) Photos by Phil West (phil.west@verizon.net).